Today I have been blessed by Belle over @ BelleCanRead to do The Sunshine Blogger Award. I really enjoy reading the questions you guys ask me so, I hope you enjoy reading my answers too! I have been blogging since June 2016 and now I feel old! I started my blog when I was 16 years old and now I’m 18, what is my life??? WHAT TYPES OF POSTS ARE YOUR FAVOURITE POSTS TO MAKE? Usually I would say any kind of recommendations post, but lately, discussions are my favourite to write. I love recommending books on my blog, but I have had so many ideas to talk about lately! DO YOU HAVE ANY HOBBIES/INTERESTS BESIDES READING? 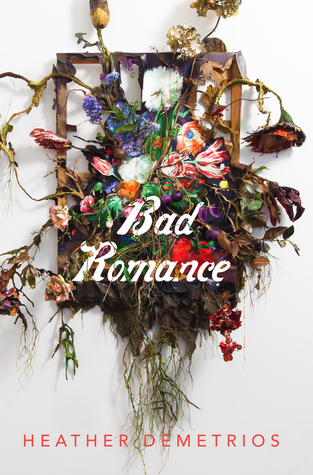 I am currently reading a library copy of Bad Romance by Heather Demetrios. I’m only 30ish pages in but I am really really loving it, the writing is fantastic! 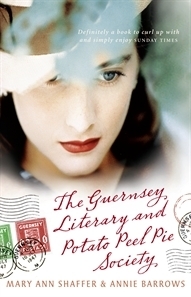 I think the best book I read lately would have to be The Guernsey Literary and Potato Peel Pie Society. I managed to read this in a couple of hours a few weeks back and I absolutely loved reading it! ARE THERE ANY “BUZZWORDS” IN BOOK SYNOPSES THAT WILL MAKE YOU PICK UP THE BOOK WITHOUT FAIL? WE’RE HALFWAY THROUGH THE YEAR! HOW HAVE YOU BEEN KEEPING UP WITH YOUR NEW YEARS RESOLUTIONS? I didn’t really make any new years resolutions this year, but I think I’ve done pretty well with my general goals. In terms of blogging, I wanted to go from 238 followers to 400 in 2018. As I’m writing this (the 25th of June) I have 376 and I think I can definitely get to 400 by the end of the year! My other main goal was to read the books on my shelves and that goal has gone out of the window pretty quickly tbh! Hell yes! Women hating each other + Readers hating on other readers’ habits (annotating, folding pages, genre choice) & book choices. IF YOU HAD A ROUND-TRIP TICKET ANYWHERE IN THE WORLD, WHERE WOULD YOU GO? Wow, I have no idea. Maybe George and The Jungle??? This is the most stupid movie in the world but it is also hilarious. Just in general, anything Brendon Fraser is in because his humour is my favourite thing. IS THERE ANYTHING EXCITING HAPPENING OR SOON IN YOUR LIFE? Ooh, I’m starting Uni for the first time literally tomorrow?? That’s vaguely exciting and pretty darn terrifying (can’t wait for those 2-hour trips to and from school). WHAT EXCITING THINGS ARE HAPPENING IN YOUR LIFE?